The Western Prelacy is pleased to announce the publication of St. Nerses the Graceful’s “I Confess With Faith” in memory of H.E. Archbishop Moushegh Mardirossian’s parents, Hagop and Diramayr Marie Mardirossian. 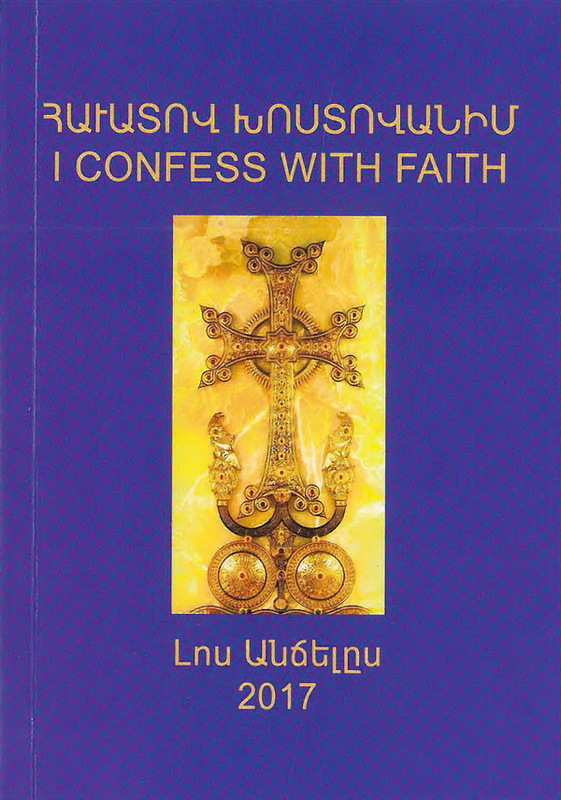 This latest publication features St. Nerses the Graceful’s twenty-four powerful and poignant prayers in Classical Armenian, Modern Armenian, and English translation to allow for widespread comprehension. Contact the Prelacy office or a local parish to receive a copy.